In an effort to branch out from predictable peach treats – cobblers, tarts, pies and the like – I thought I’d make something to highlight the peach’s savory side. This slightly spicy, simple couscous dish is a perfect addition to any summer plate. Like most of the dishes I’ve shared with you this summer, it can be served hot or cold. For those of you who are on the fence when it comes to couscous I urge you to give this dish a try…once you doctor it up it’s really quite good. 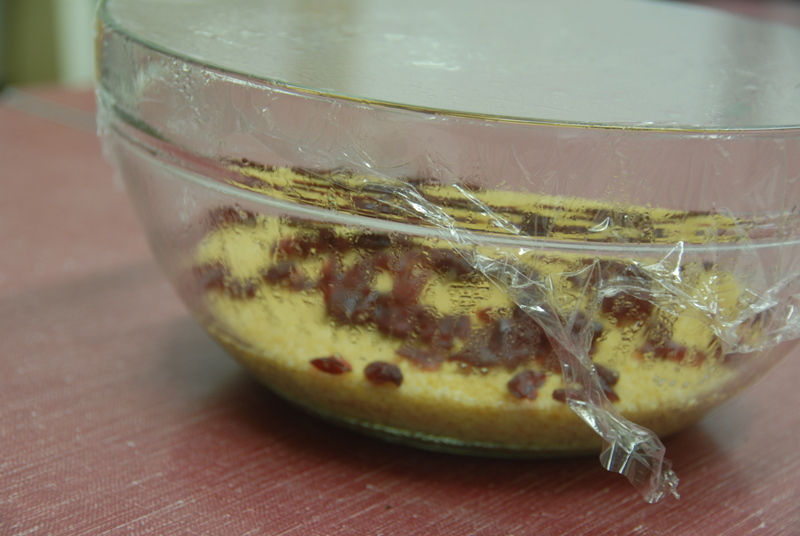 Make couscous according to box instructions and set aside. I put the cherries in with the couscous to plump them up a bit. Heat olive oil in a large sauté pan, sweat the onions for 5-7 min, then add the jalapeño. Cook, stirring, for about one minute. 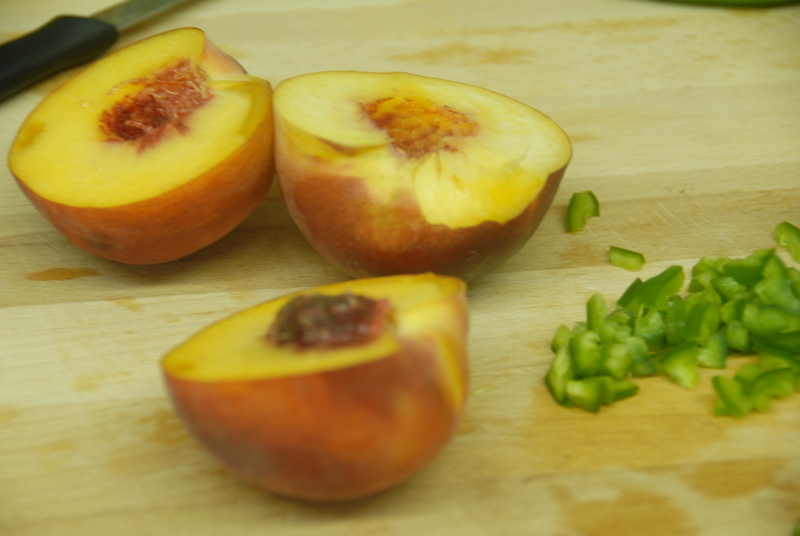 Add peaches and cook until heated through – allowing flavors to meld. 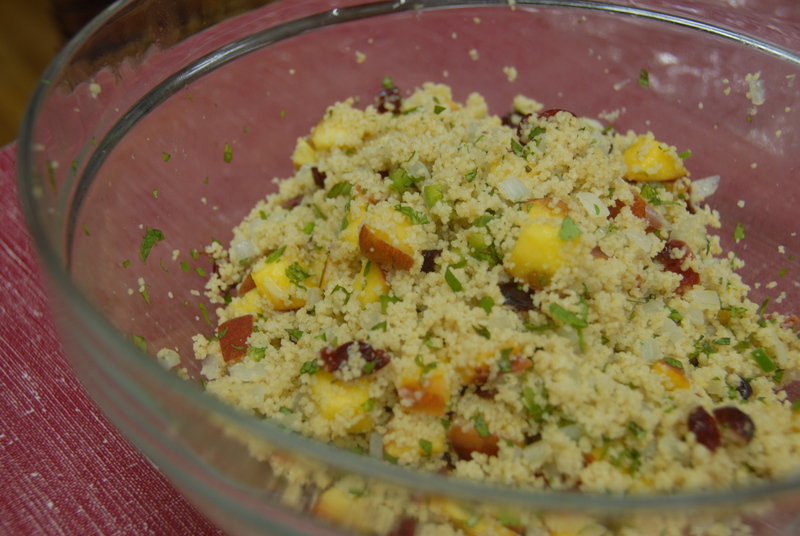 Fluff the couscous with a fork and add the onion/jalapeno mixture. Add curry, lime juice, chopped mint and cilantro. Once mixed, season with salt to taste. Yum! This refreshing summery salad has quite the little kick, I do hope you’ll try it. And now if you’ll excuse me, it’s about time for me to have some of this for lunch! 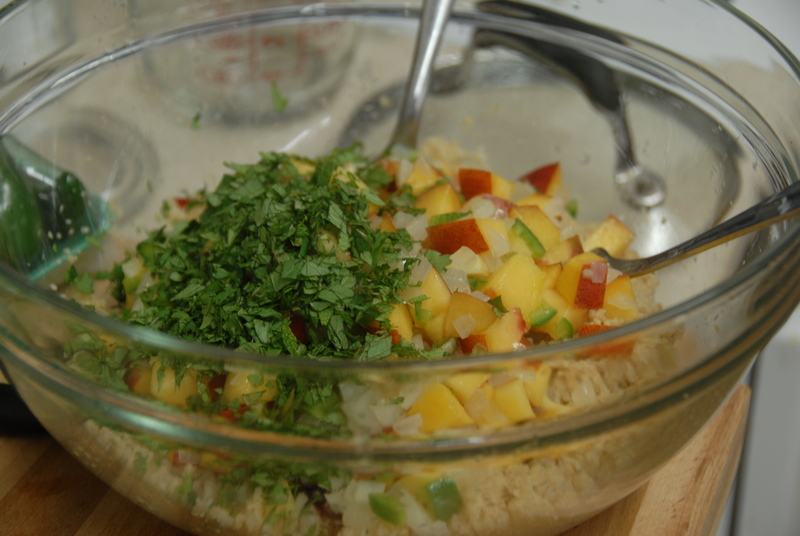 This entry was posted in Peaches and tagged cilantro, couscous, curry, jalapeno, mint, peach, salad, savory, summer. Bookmark the permalink.